The first game of the season is less than 2 weeks away - PSU hosts the Bobcats of Ohio for their season/home opener. Completely ignoring the off-season for the moment, we are looking forward to the start of football and yet another superb tailgating season. For the Ohio tailgate we are drawing on some of the energy and spirit of the other football: soccer. 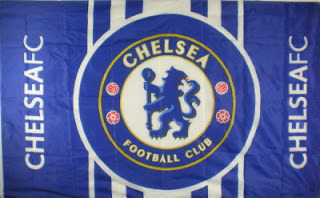 Specifically, the British Soccer Club, Chelsea. "The Blues" defied all logic and overcome extreme obstacles to win the Champions Cup this past Spring - as the ultimate underdogs - and we find that somewhat relatable. So with a nod to jolly old, and quite a bit of biting of the thumb, we will be serving a variety of traditional British flavors as adapted for the carpark (and with a dash of hooligan, here and there). Bits and Bobs: curried chicken salad wraps; pork&turkey cottage pie; pepper steak pies; shandy cupcakes; an assortment of HP & beer infused bites; celery; and, much more. The bobcats wear green - but we'll still make best efforts to recycle. All are welcome. As always, contributions of food and drink are appreciated, but not necessary. We do ask that if there is something that you really want/need, that you either let us know so we can make sure to have it, or you bring it with you. This year (unless noted otherwise) we will be parking in the Green (West) parking lot, behind the pressbox. Our spot is in the corner, near the soccer pitch (ha!). Let us know if you plan to join us; you can contact us via email, phone, dm, facebook or twitter, and contact us for specific directions, as necessary. We'll be flying the flag of ChelseaFC, and keeping the blue flag flying high! HP! Scott is on the fence about comming for the game....HP might just tilt it in our favor!! Cross your fingers and grab another bottle! haha! Suz already bought 2 bottles! have you tried it in tea yet? It's feckin' delish! or so I've heard! seriously, though--do you need me to bring anything?